PodCamp Ohio is proud to be sponsored by Ohio’s own Doctor Anonymous! Doctor Anonymous was one of the first contributers to the event and has been following the meetings and planning since the beginning. His Gold sponsorship and support for PodCamp Ohio is greatly appreciated. Thank you Doctor Anonymous! On Thursday, June 26 (2 days before PodCamp) Doctor Anonymous will be hosting an on-line PodCamp meeting/party on his podcast. 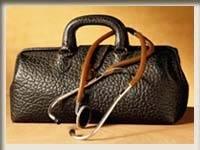 Please check out the Doctor Anonymous Podcast every Thursday evening at 9pm on BlogTalkRadio. We have more sponsorship announcements coming shortly. Please visit the sponsors page for the latest list of PodCamp Ohio sponsors.